David Le/Gloucester Daily Times. 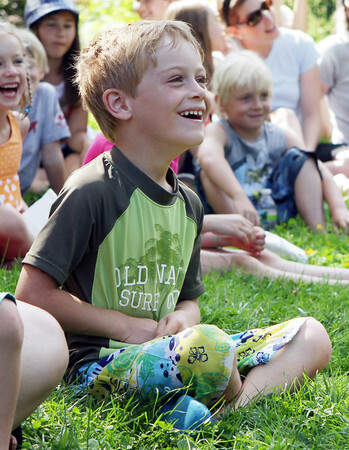 Riley Blanchard, 5, of Rockport laughs at a joke told by "Awesome" Robb Preskins, also known as Captain Robbie Bones, during his Sky Pirate Show at Millbrook Meadow Park in Rockport on Wednesday afternoon. 6/29/11.